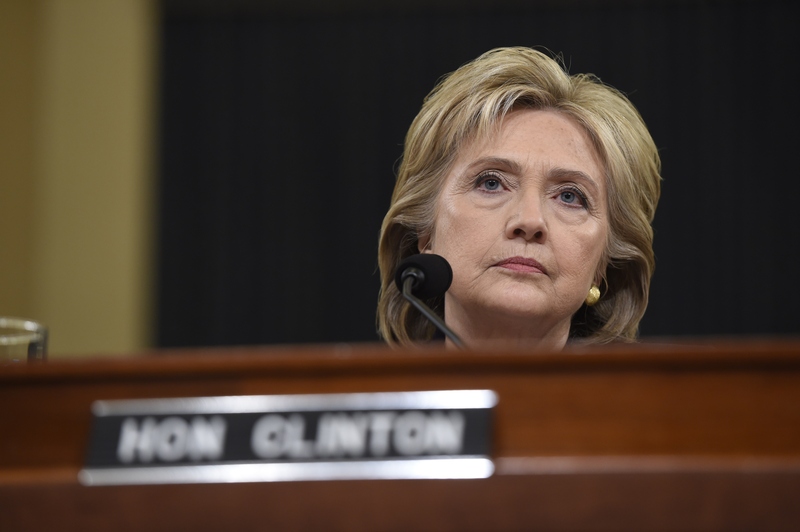 Hillary Clinton Tells Committee She "Launched Reforms" After Benghazi, But Can She Back Up The Statement? As expected, the House Select Committee on Benghazi is putting Hillary Clinton through the wringer. But kicking off her day-long hearing, Clinton delivered a calm opening statement on the State Department's role in the Benghazi attacks in 2012. After paying tribute to the four men who lost their lives in the attacks, Clinton testified that she launched reforms after Benghazi to better protect U.S. officials in the field. It's admirable that she made her defense without shirking any blame, but how accurate is her claim? In observing the response in the aftermath of the attacks, it looks like Clinton took action — and that in fact, it was Republicans who resisted reform. Clinton began her testimony by remembering and honoring the names of the four men who died in the attacks: U.S. Ambassador Chris Stevens, State Department official Sean Smith, and CIA contractors Tyrone Wood and Glen Doherty. Clinton revealed that Stevens had gone to Libya on her recommendation, saying that she "knew and admired" him, and called him "one of our nation's most accomplished diplomats." I took responsibility, and as part of that before I left office I launched reforms to better protect our people in the field and to help reduce the chance of another tragedy from happening in the future. Since the purpose of the hearing is to find out the truth, every statement and claim Clinton makes will be fact-checked. Let's start with this one. Did Clinton launch reforms after Benghazi that were meant to offer better protection to American field agents? What exactly was she able to accomplish before leaving office as secretary of state? We here at the State Department very much appreciate the efforts of both the House and the Senate to craft a continuing resolution that provides funding for the remainder of the year. And we're also pleased that that funding includes quite a bit of flexibility for enhanced Diplomatic Security. However, as the State Department forged ahead with the plans, which included additional security agents, improved training for field agents, improved gear, and more security cameras, House Republicans introduced a bill in June 2013 that would block much of the funding until officials had cooperated with their investigation into the attacks, or specifically "until requirements related to proper management of Freedom of Information Act [FOIA] and electronic communications are met." Reducing State Department funding and personnel will only further slowdown and drag out the Republican’s taxpayer-funded political attack on Secretary Clinton. It's similar to the message Cummings expressed on Thursday, accusing the hearing of using its continued investigation of Clinton's role in the Benghazi attacks as a political tactic to hurt her campaign. As for Clinton, she may not have any other choice than to play along, but she's also made her priority distinctively clear all along: to prevent another tragedy.